2. 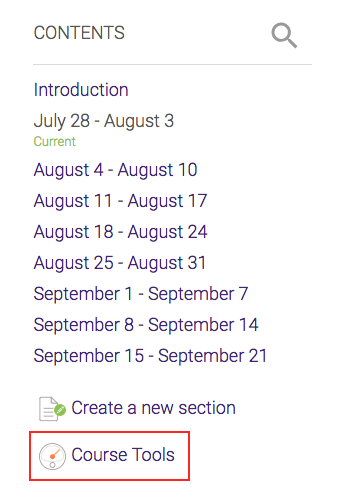 Select Course Tools from the CONTENTS panel. 3. 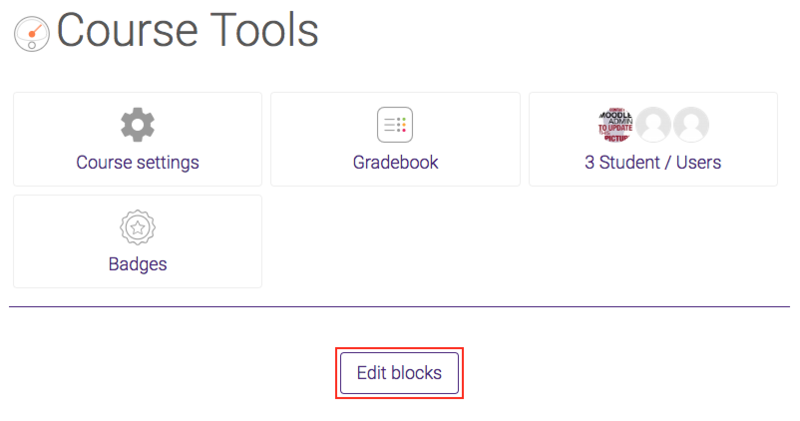 Select the Edit Blocks button under the Course Tools section. 4. Scroll down to the bottom of the page and select the block from the Add a Block drop-down menu. NOTE: You will not be able to return to your course page until you select the Stop Editing button. 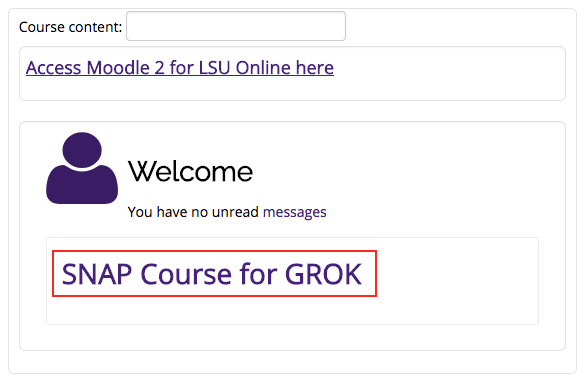 Please refer to GROK Article 18101, Moodle 3: Blocks: LSU Overview, for further documentation related to Moodle Blocks.